Finding job candidates to fill STEM (science, technology, engineering, and mathematics) employment opportunities has been a struggle for employers in North America. The dearth of STEM workers in this region forces companies to search globally for qualified candidates. Can and will this trend change? Time will tell, but for now, the search for STEM candidates is a challenge for North American employers. Leading up to the Graduate Employment Conference Europe (GEC Europe), College Recruiter is publishing the opinions of experts based on a series of questions related to global recruitment and talent acquisition. In today’s article, Alexandra LaCombe, Managing Partner and Attorney at Fragomen, Del Rey, Bernsen and Loewy, explains what a scarcity of STEM candidates means for North American employers. Alexandra LaCombe is a Managing Partner and Attorney at Fragomen, Del Rey, Bernsen and Loewy in Troy. 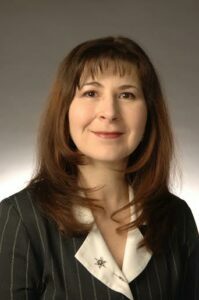 She is a member of the American Immigration Lawyers Association and serves as an Adjunct Professor at the University of Detroit-Mercy School of Law, teaching Immigration Law within the University’s innovative “Law Firm” practice curriculum. Posted in Conferences, Employers, International, Workplace Problems | Tagged Tagged agr, alexandra lacombe, american, association of graduate recruiters, belgium, brussels, candidates, college recruiting bootcamp, college-recruiter, degrees, economy, emploi, employers, employment, eu, european association for international education, european union, fragomen, gec europe, gradcore, graduate employment conference europe, north-america, recruitment, skills, stem, talent acquisition, U.S.